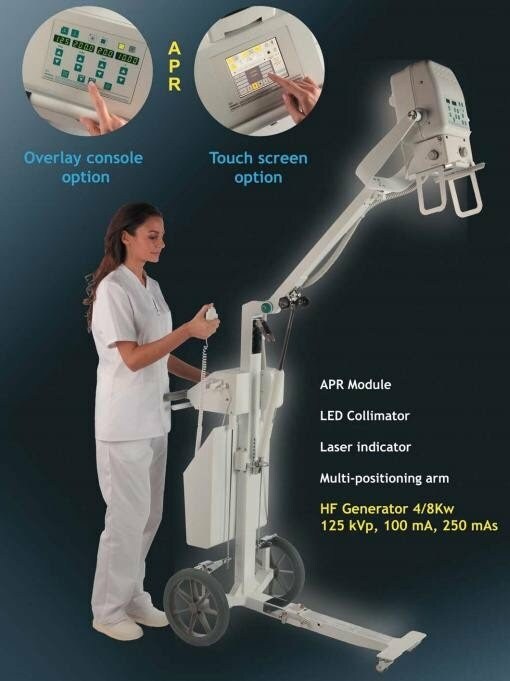 The Dragon X is designed to carry the X-ray unit from door to door of patient room in clinics and hospitals and therefore, can be reduced patient positioning time and efforts. Standard applications are: medical radiographic use in nursing homes, private homes, field clinics, correctional facilities, military field operations, intensive care units, emergency units, extremity orthopaedic or anywhere an x-ray machine must be brought to a patient. ● Small in size, big in performance (4 kW). 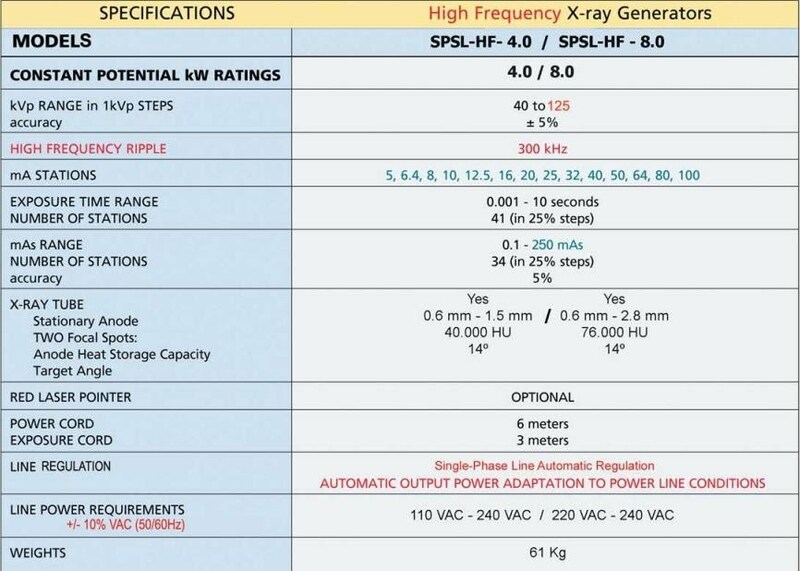 ● High frequency inverter (300 kHz). ● Automatic line voltage compensation (90-264 VAC). ● Automatic output power adaptation to power line conditions (line impedance). ● Shorter exposure times than conventional X-ray units. ● Dual focal spot provides superior image quality. ● Easy to transport - friendly user.